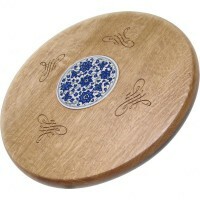 Our lazy susans are designed for elegance, quality and uniqueness. You can find less expensive ones out there, but you won’t find any of greater beauty or quality. 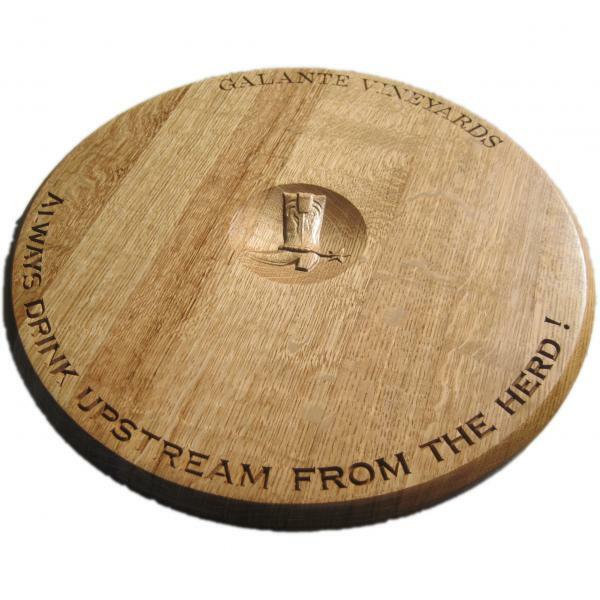 Our fine carvings and finishings set off the natural, hidden beauty of the quarter-sawn oak barrel heads. 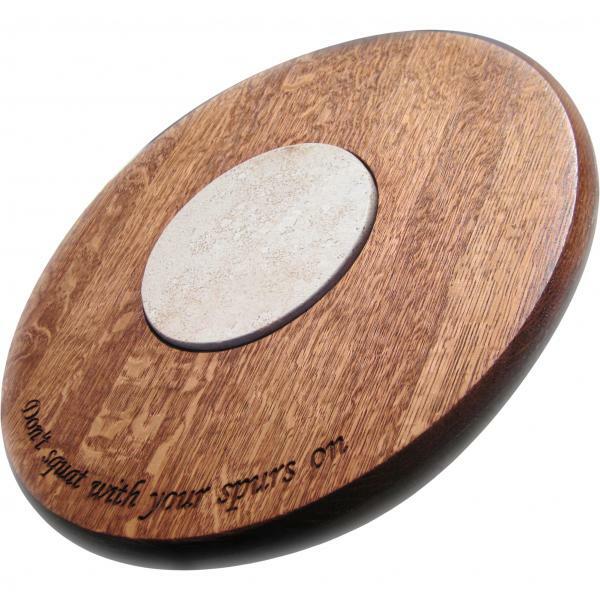 You make your lazy susan uniquely yours by your choice of text and artwork. 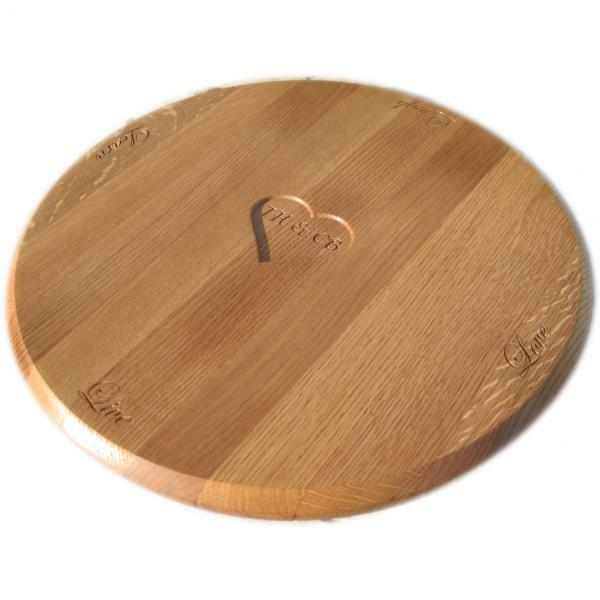 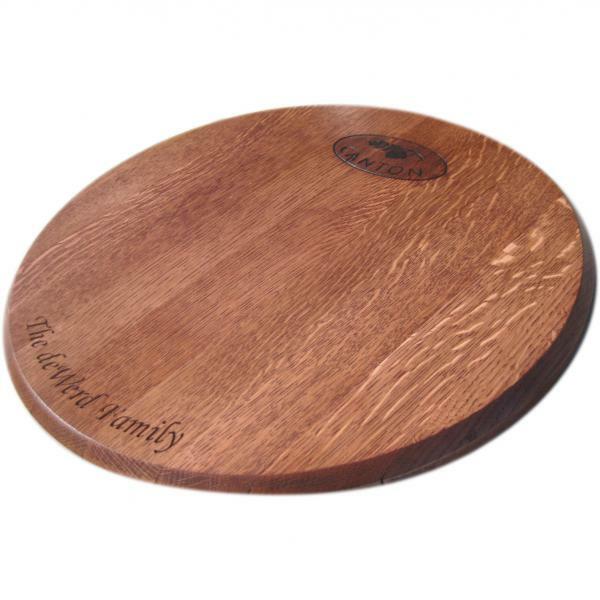 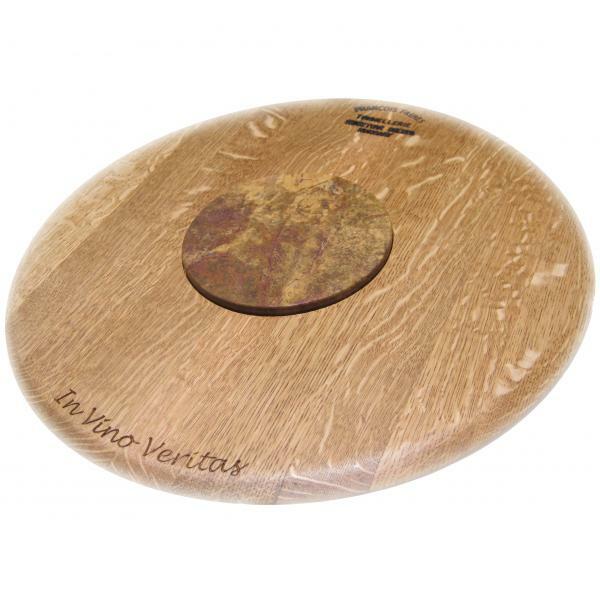 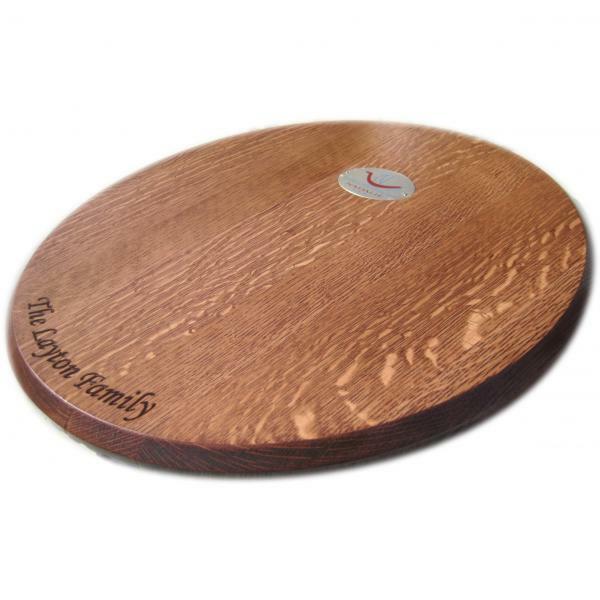 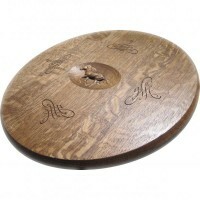 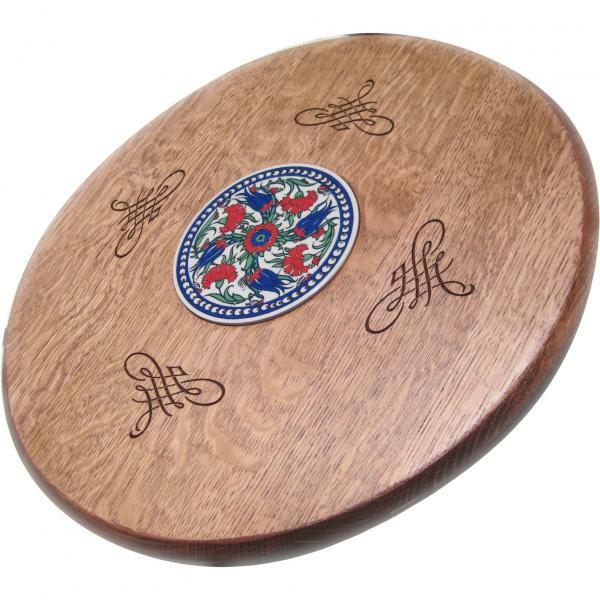 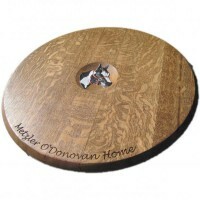 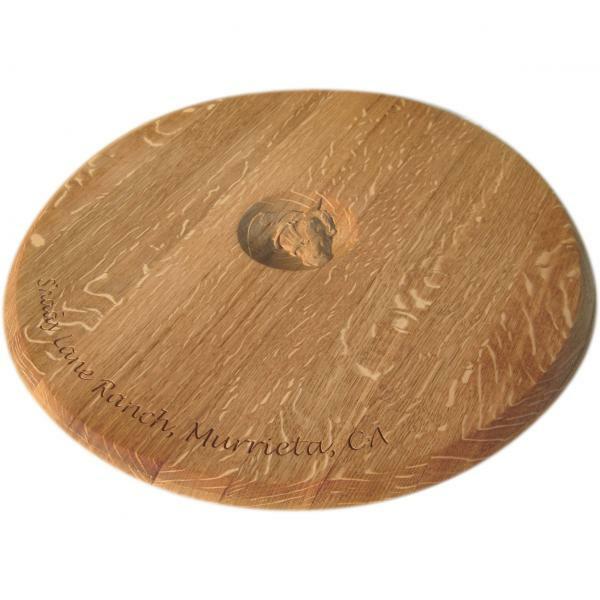 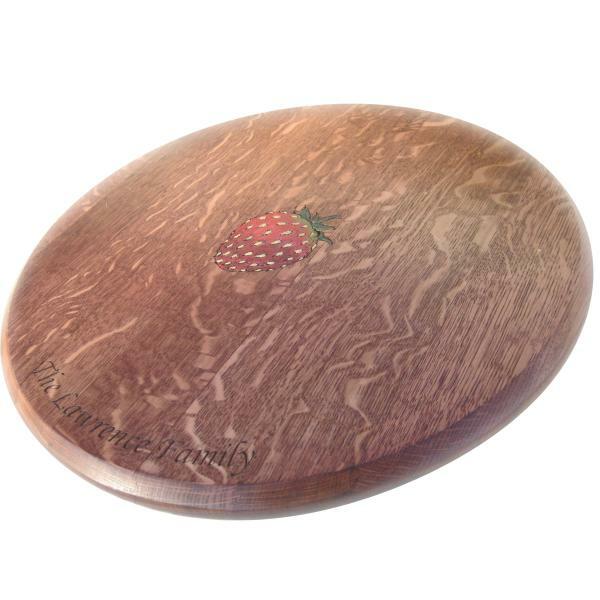 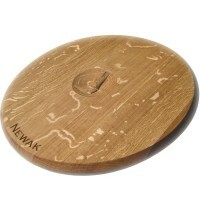 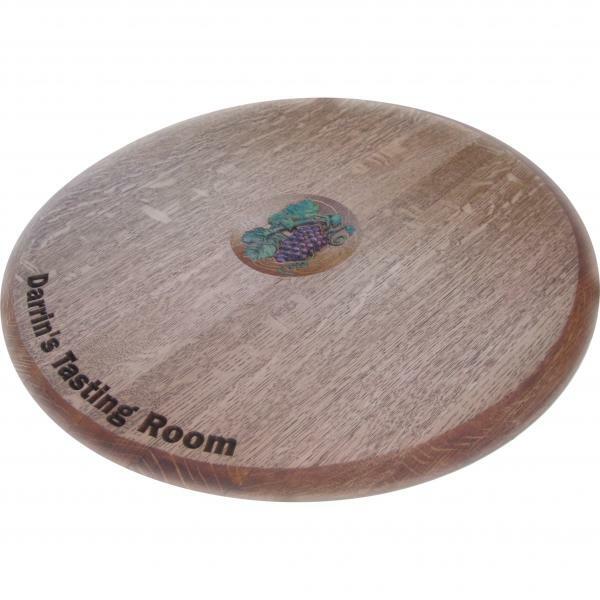 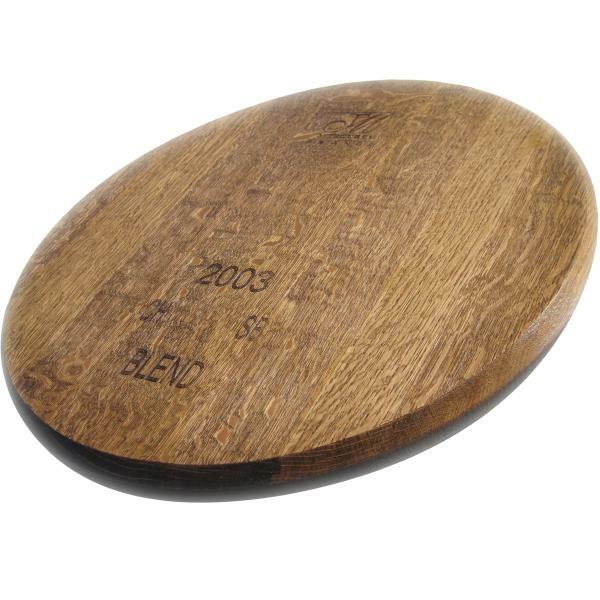 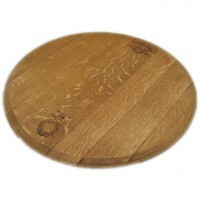 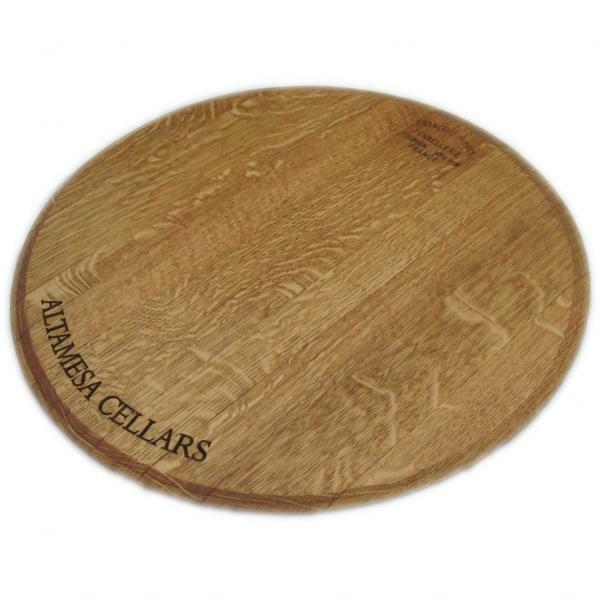 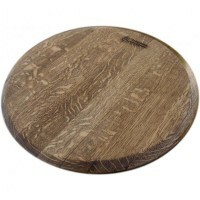 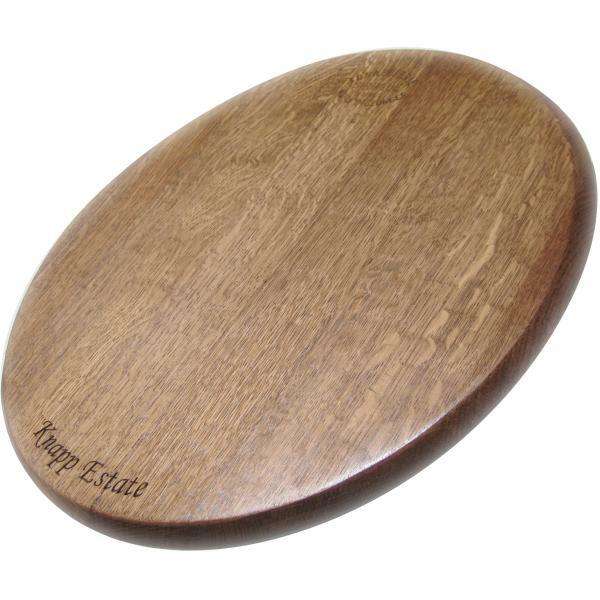 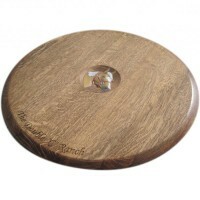 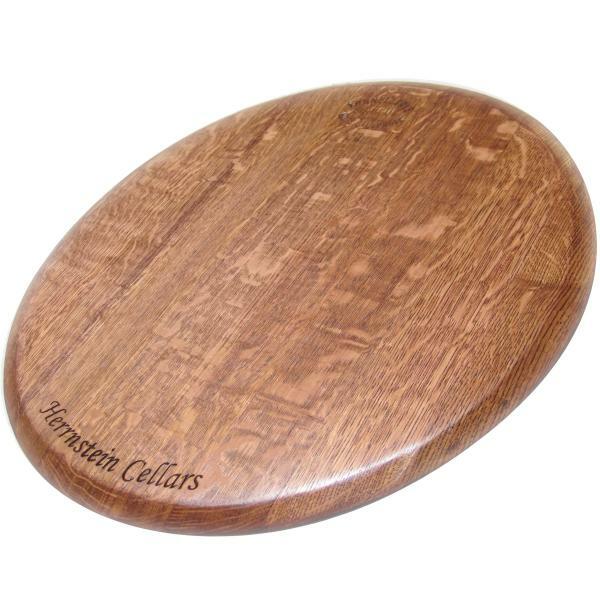 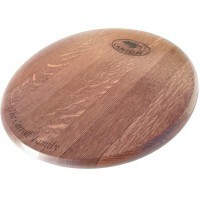 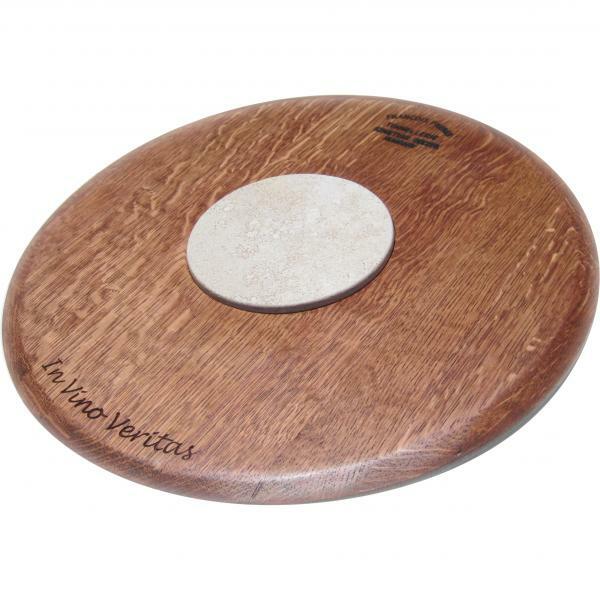 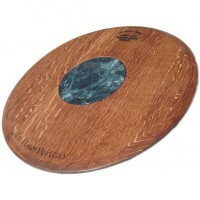 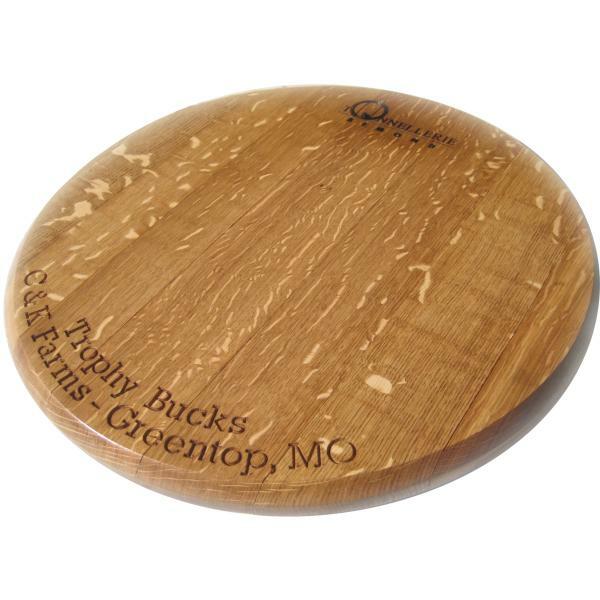 We also offer several choices of beautiful round stone central trays for use as cheeseboards or trivets. 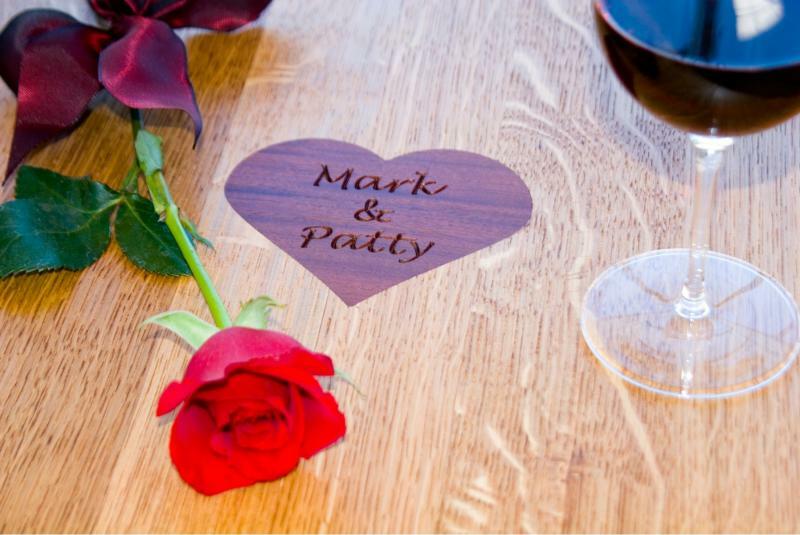 The solid oak heads are disassembled and glued together and to a plywood back for strength & durability. We attach that to the highest quality Lazy Susan bearing available – a 12″ diameter, 1000 lb capacity, 150-ball bearing steel turntable. 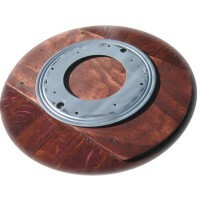 We offer your choice of full 23″ or trimmed down 20″ diameters. 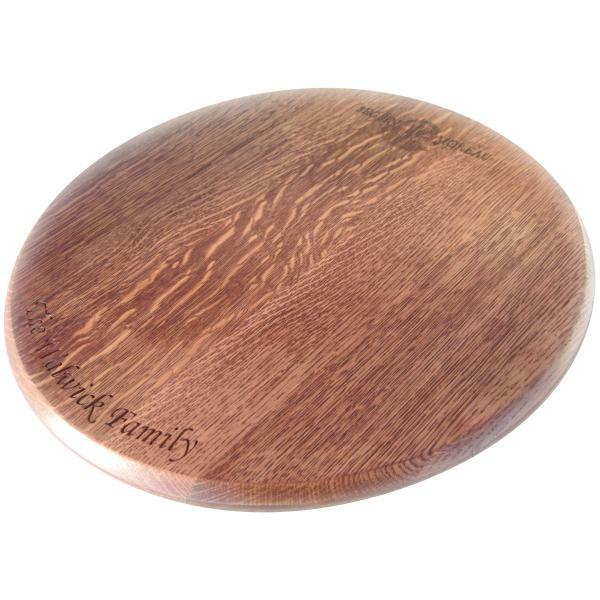 Your lazy susan is carved per your design and finished with your choice of stain, then topcoated with multiple coats of semi-gloss urethane for a very durable, food-safe finish. 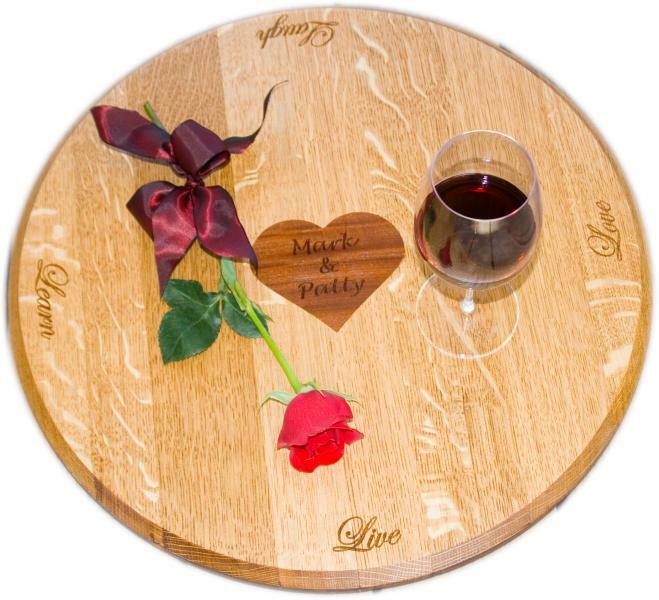 The result is extremely elegant, high quality, and functional wood art for your table.